Grapes are first carefully de-stemmed and then fermented both in a temperature controlled, stainless steel tank and a wooden vat for 11 days, with daily “remontage” and “delestage” processes, in order to obtain full potential of the perfect condition grapes. While Tempranillo ferments in three stainless steel deposits, Cabernet Sauvignon and Graciano ferment individually in a wooden vat. The grapes are vinified separately to keep their character intact. The ageing process is 21 months in 225 litre new French oak barrels and 12 months in bottle before release. Wine was bottled on July 23, 2018. A cooler year in Rioja, with rainfall during harvest. 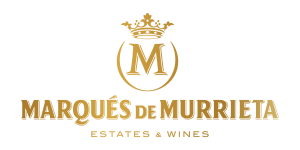 Marques de Murrieta harvested before the rains came in and have produced a fresher, more elegant style of wines in 2014. Dalmau has a complex nose, with aromas of wild fruits and dark chocolate, combined with creamy, spicy aromas following ageing in new French oak barrels.